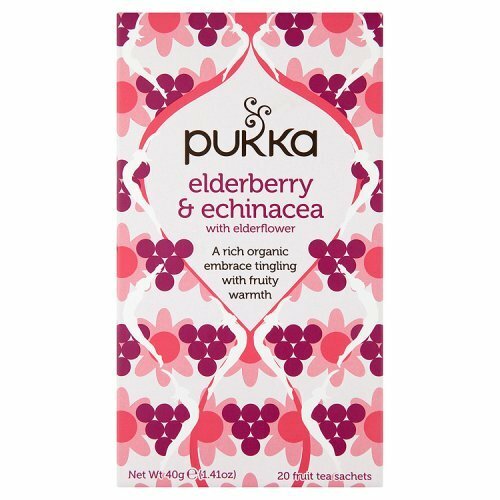 Elderberry & Echinacea with Elderflower 20 BagDescriptionLet yourself fall into a deep bed of ripe wild fruits purple-black elderberries, inky blackcurrants blessed by the fragrant FairWild elderflower and touched by the tingling notes of echinacea. Safe in your fruity refuge, youll be ready for anything.Warnings: Keep out of reach of children. As with all dietary supplements, consult your healthcare professional before use. See product label for more information. 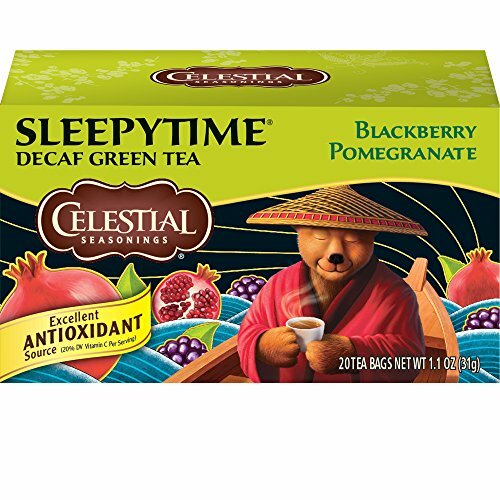 Sleepy Time Celestial Seasonings Berry Pomergranate Sleepytime Green Tea.Decaffeinated.Decaf green tea plus rich fruit flavors and Vitamin C.20 tea bags.NET WT 1.1 OZ (31g). 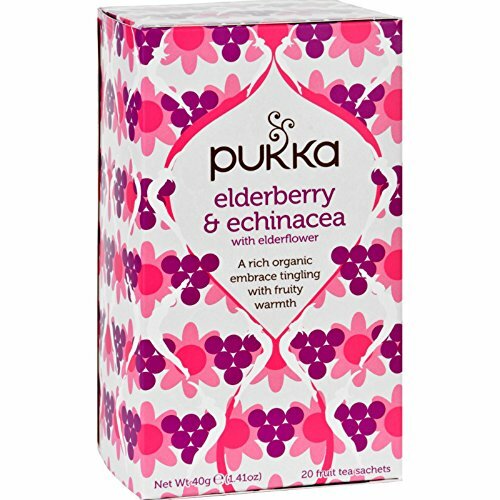 Come on a delicious Pukka journey into the world of incredible herbal teas. 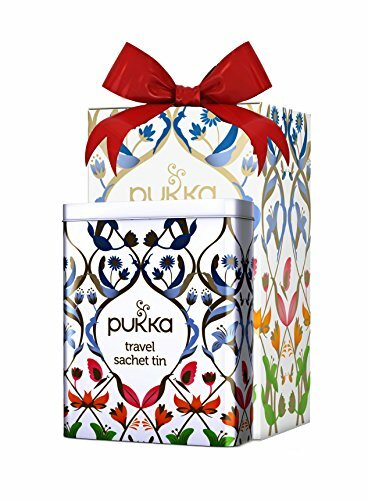 Discover teas that refresh you, relax you and invigorate you - a world that helps your senses come alive. Every one made with the love of our family of growers around the world, the herbal wisdom of our Master Herbsmith Sebastian Pole and the care of our team in the UK. 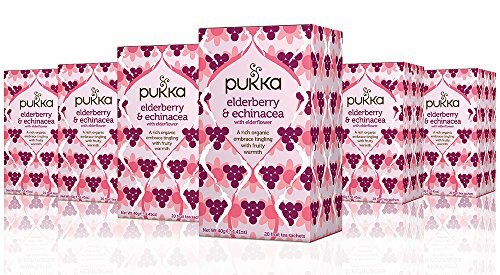 Every sachet contains the highest quality incredible organic herbs. 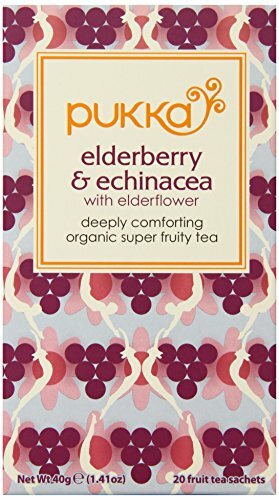 Welcome to a pure herbal tea adventure! 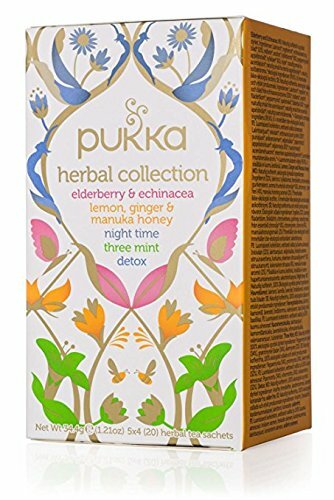 Herbal Collection, your own mini herbal adventure in a magical box of Pukka herbal teas. 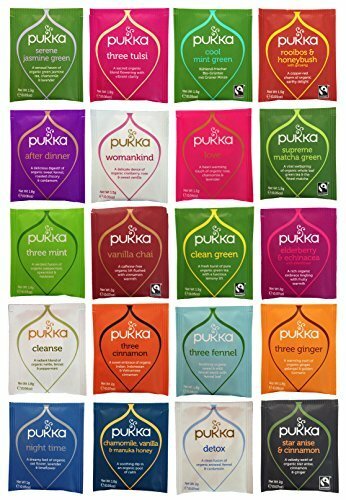 Five delicious, organic award-winning teas. 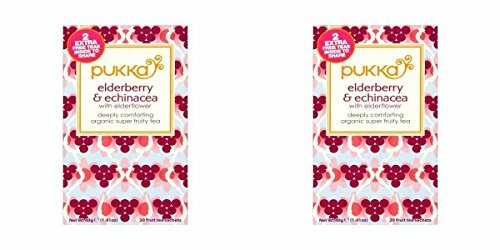 Pukka's organic and fairly-traded Elderberry & Echinacea tea, Lemon, Ginger and Manuka Honey tea, Night Time tea, Three Mint tea and Detox tea.